Cuban leader Fidel Castro appears in a photograph published Sunday by the online edition of Cuba's Communist Youth newspaper, Juventud Rebelde. 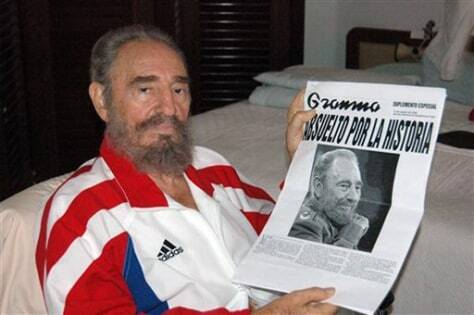 Castro is holding a copy of the Saturday edition of Granma, the Communist Party newspaper. The Associated Press cannot verify the authenticity or the date when these photographs were shot.